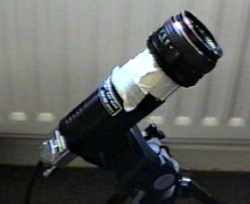 My first go at CCD astronomy involved pointing a video camera at the eyepiece of my telescope. Have a look at the results. 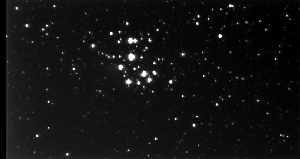 Tempted by the prospect of an imaging system tolerant of light pollution and whose results can be seen immediately I bought a starlight xpress mx12 ccd camera. The camera can be coupled to standard M42 threaded lenses using extension tubes or as in the case of my first experiments, cardboard tube and sticky tape. Here are my first pictures using camera lenses. 2 minute exposure 50mm f1.7 lens, unguided. average 4 2 minute exposures 50 mm f1.7 fens + 2x converter. 5 1 minute exposures 50mm lens f1.7 + 2x converter. All these pictures, obtained on the first night with the camera, are better than anything I have ever got onto film. 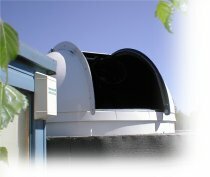 However things get even more interesting when the camera is used at prime focus on a telescope. 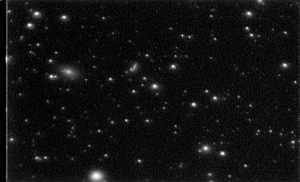 My first deep sky image was of an end of M82. 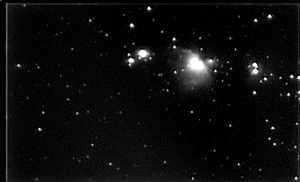 A number of exposures have been added or averaged, total exposure about 15 minutes. My second deep sky image M51. total exposure 15 minutes. 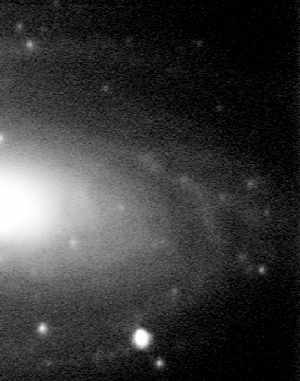 It was amazing seeing the spiral arms appear on the monitor. 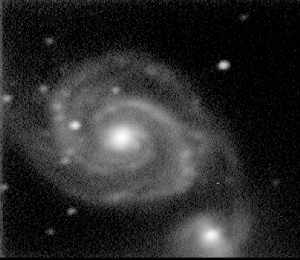 I had crept up on M51 by slewing to fainter and fainter guide stars and wasn't sure if I had ended up in the right place. But 1 30 second exposure and plenty of contrast stretch and there it was right in the middle of the chip.